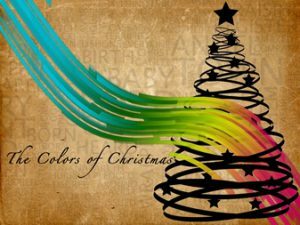 Most of the colors and their meanings come from the western/northern European traditions and customs, when Christmas is in the middle of it’s dark and cold time of year. 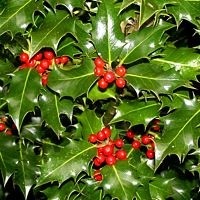 Evergreen plants, like Holly, Ivy and Mistletoe have been used for thousands of years to decorate and brighten up buildings during the long dark winter. They also reminded people that spring would come and that winter wouldn’t last forever! The Romans would exchange evergreen branches during January as a sign of good luck. The ancient Egyptians used to bring palm branches into their houses during the mid winter festivals. In many parts of Europe during the middle ages, Paradise plays were performed, often on Christmas Eve. They told Bible stories to people who couldn’t read. 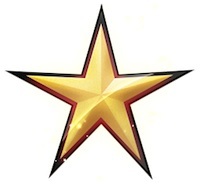 The ‘Paradise Tree’ in the garden of Eden in the play was normally a pine tree with red apples tied to it. 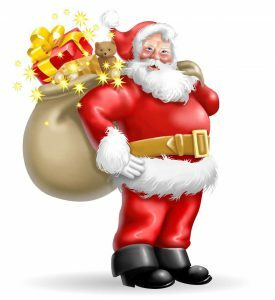 Now the most common use of green at Christmas are Christmas Trees. As mentioned above, an early use of red at Christmas were the apples on the paradise tree. They represented the fall of Adam in the plays. Red is also the color of Holly berries, which is said to represent the blood of Jesus when he died on the cross. Red is also the color of Bishops robes. These would have been worn by St. Nicholas and then also became Santa’s uniform! Gold is the color of the Sun and light – both very important in the dark winter. And both red and gold are the colors of fire that you need to keep you warm. Gold was also one of the presents brought to the baby Jesus by one of the wise men and traditionally it’s the color used to show the star that the wise men followed. White is often associated with purity and peace in western cultures. 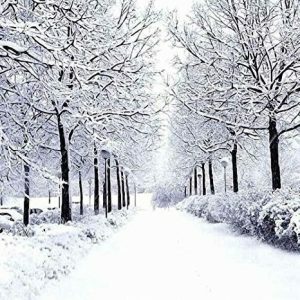 The snow of winter is also very white! White paper wafers were also sometimes used to decorate paradise trees. The wafers represented the bread eaten during Christian Communion or Mass, when Christians remember that Jesus died for them. White is used by most churches as the color of Christmas, when the altar is covered with a white cloth (in the Russian Orthodox Church Gold is used for Christmas). 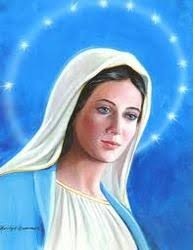 The color blue is often associated with Mary, the mother of Jesus. In medieval times blue dye and paint was more expensive than gold! So it would only be worn by Royal families and very rich people. Mary was often painted wearing blue to show she was very important. Blue can also represent the color of the sky and heaven. During Advent, purple and sometimes blue is used in most churches for the color of the altar cloth (in the Russian Orthodox Church red is used for advent). Purple or violet is considered the main color of Advent as it symbolizes fasting and repentance. Since purple is the color of royalty, it even demonstrates the sovereignty of Jesus Christ, and the reception and anticipation of the coming King celebrated during Advent. 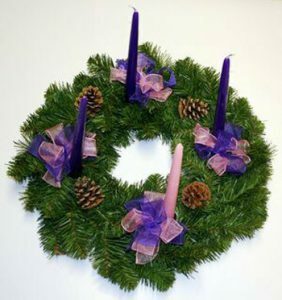 The first candle of the Advent Wreath, the candle of hope or the prophecy candle is purple. Even the candle of preparation or the Bethlehem candle is purple in color. Additionally, the candle of love or angel candle, which is the fourth advent candle also happens to be purple.